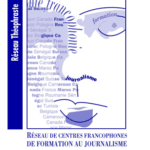 The 5th edition of the World Journalism Congress is organized by the journalism school of the University Paris-Dauphine | PSL (IPJ), the Theophraste Network for francophone journalism schools and the French Conference of Journalism Schools (CEJ). The Practical Journalism Institute (IPJ Dauphine | PSL) is a French journalism school that was founded in 1978 by the historian Pierre Miquel. He imagined a school that would continually evolve and be open to progress in journalism, customs and practices. The school, which ranks among the top 5 in France, is part of the Paris Dauphine University and the Paris Sciences & Lettres research university (PSL University) which includes 22 top French institutions (ENS, Curie Institute, Chimie ParisTech, CNRS, Collège de France, fine arts schools, etc.). Its integration in this university hub enables IPJ to maintain strong links with international research within a multi-disciplinary network. Within this context, several transdisciplinary partnerships have been implemented: journalism & mathematics with Dauphine University, fact-checking & engineering with Mines Paris-Tech & EJTA, etc. The IPJ Institute pledges to provide the best training for its students. On entering the school, they undergo a rigorous curriculum that combines strong practical experiences and core teaching. They are trained both by working professional journalists from a variety of newsrooms and university lecturers. IPJ’s core project is to train students to be highly sought-after professionals who are trained for the realities of a career in journalism, in all medias and sectors, now and in the future. IPJ strongly supports equal opportunities for education to students from diverse social backgrounds. It is also the first and only French journalism school to be awarded the Diversity label by AFNOR. Foster all forms of cooperation, exchange of educational, pedagogical and research resources for journalism. The CEJ is the network which gathers the 14 French recognized schools*. The purpose of the CEJ is to ensure coordination between schools. It is a central link for public authorities, professional organizations and professionals themselves. *In France, this certification label is delivered by the French National Joint Commission for the Employment of Journalists (CPNEJ).